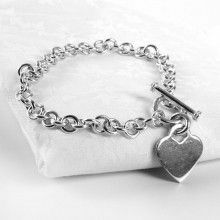 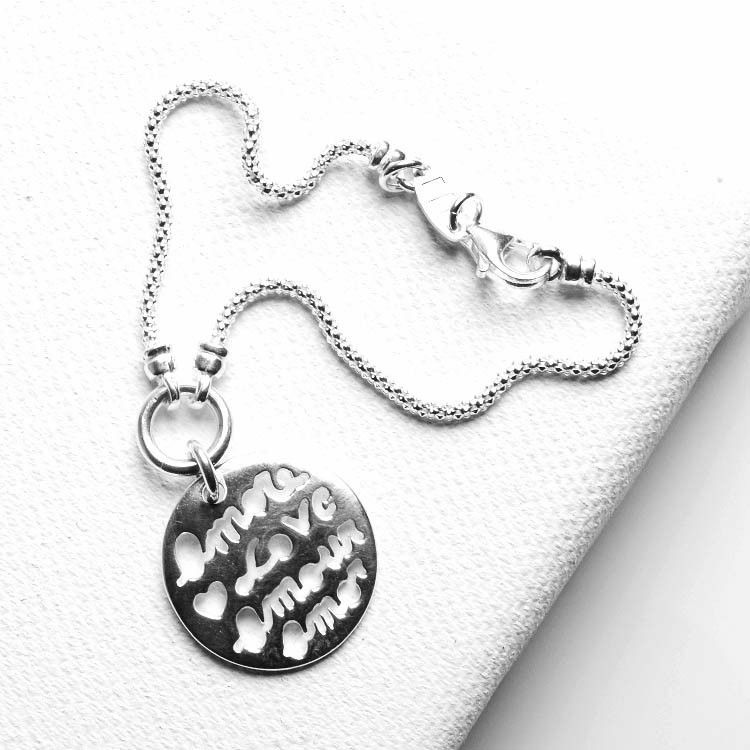 This modern bracelet made with sterling .925 silver features a message of love. 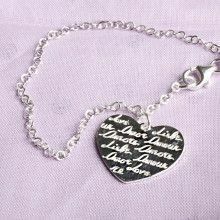 The message has been cut out of a circle which is actually a charm that dangles from your wrist. 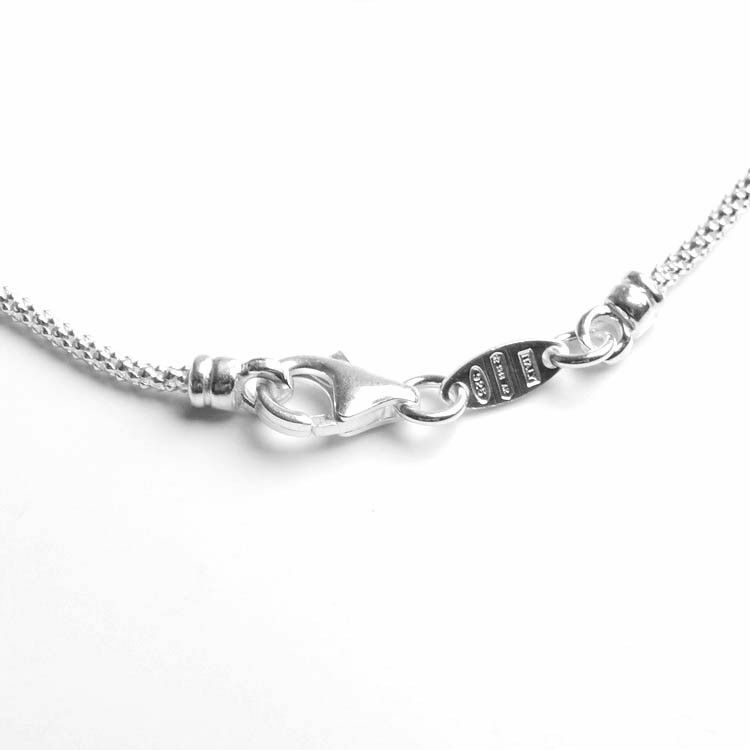 A rope-like design with the silver adds an even more modern touch. 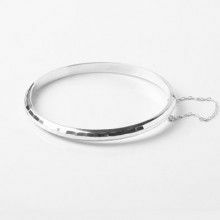 This bracelet measures about 7" in length. 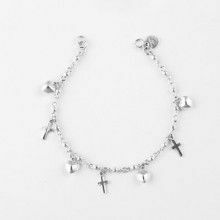 Charm diameter is Approximately 7/8"